Should You Let People Wear Shoes In Your Home? You don’t know where those shoes have been—but you don’t want to be rude. What’s the right answer? 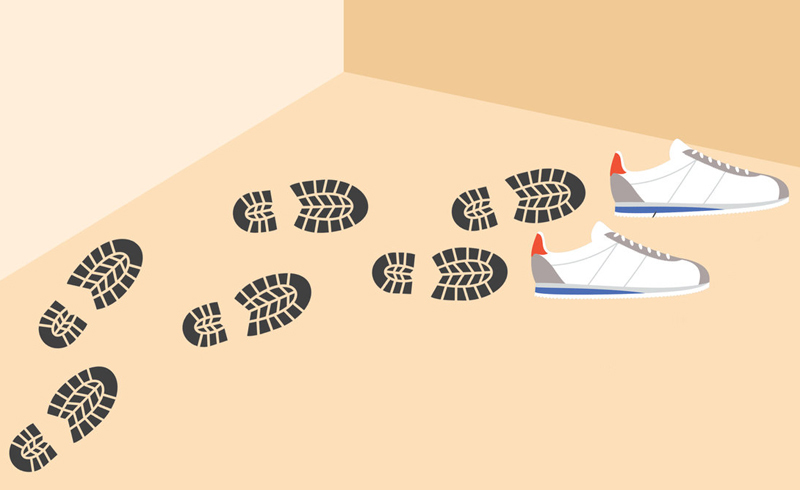 Your house may be your space to protect, preserve, and clean, but when it comes to asking people to take their shoes off when they visit, many people still hesitate out of fear of being rude. Regardless of your opinion on wearing shoes inside the house, brace yourself, because there’s no way to sugarcoat this: The bottoms of our shoes are positively covered with bacteria and viruses. In one University of Arizona study, E. coli was detected on more than 90 percent of the shoes tested, says Kelly Reynolds, PhD, MSPH, professor, environmental microbiologist, and chair of the Department of Community, Environment and Policy at the University of Arizona. With all this bad news, you might think Dr. Reynolds has a strict no-shoes policy in her own home. Actually, she doesn’t. Seems like the perfect excuse to buy a cute new pair of slippers, really. U.S. Daily News: Should You Let People Wear Shoes In Your Home?